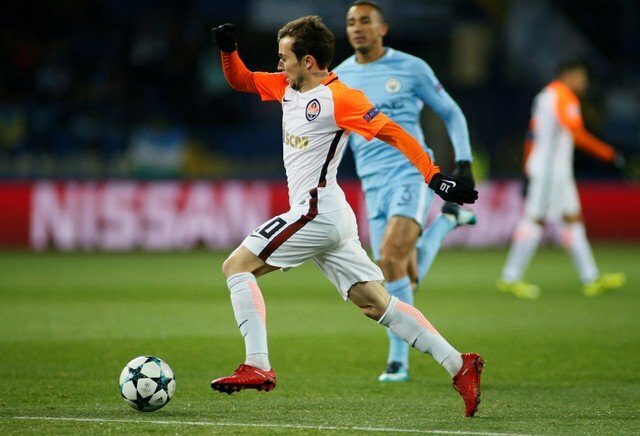 A report from Globo Esporte claims several Premier League clubs are interested in Shakhtar Donetsk’s Bernard – Everton must be at the front of the queue. According to the report, Bernard has been speaking with several Premier League clubs ahead of a potential summer move. His contract runs out in June, meaning he would be available on a free transfer. Everton spent big money on several signings last summer, none of which truly had the desired impact. The Toffees have been heavily linked with Shakhtar manager Paulo Fonseca, so it is hardly absurd to think they could be one of the clubs negotiating with Bernard. The 25 year-old Brazilian, who plays predominantly as a left-winger, can also play any of the positions across the three behind the striker in a 4-2-3-1 or on either flank in a 4-3-3. The report claims he may yet move back to Brazil, but interest from China, Italy and England is his most likely destination. Bernard is exactly the type of player Everton need if they are to step up a level and challenge for consistent European status. The tricky winger, valued at £14.4million by Transfermarkt, would be an absolute bargain on a free transfer, even if his wages were somewhat high. The 25 year-old possesses fantastic acceleration, and can burst past players in a manner similar to Philippe Coutinho. He has ten goals and four assists in all competitions this season, including a goal in Shakhtar’s impressive 2-1 win over Manchester City in the Champions League. He loves to take players on, has an eye for a pass, and most importantly has the instincts to be in the right place at the right time to find goals from the wing. He also offers Champions League and title winning experience, something that not many Blues can boast. If Bernard is truly considering a move to the Premier League this summer, then Everton must put themselves at the front of the queue for the Brazilian.